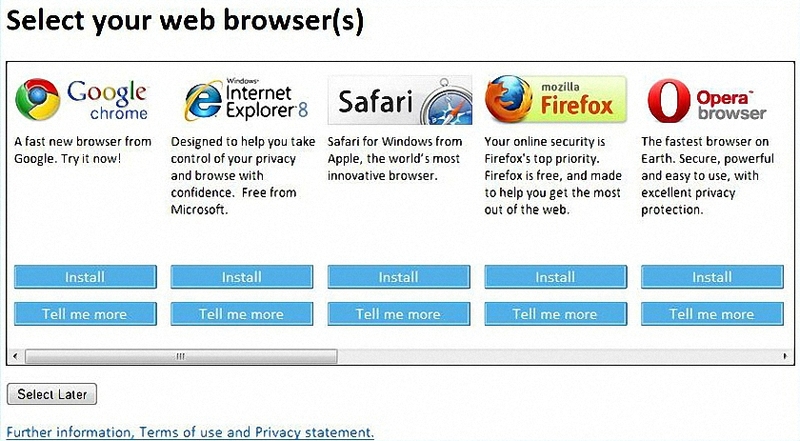 In December 2009 the European Union obliged Microsoft to offer a choice of browsers to their European customers when they installed new versions of Windows. This browser choice was also delivered in updates to Windows and so the Browser Choice screen was born and has been with us ever since. See my featured image of Microsoft’s browser choice screen offering Google Chrome, Internet Explorer, Safari, Mozilla Firefox and the Opera browsers amongst others. There is a vulnerability (flaw) which allows targeted attacks via Internet Explorer versions 6 through 11 to be made on MS Windows PC’s. The attack seems complex to me and probably not easily made against the masses. The ultimate goal of an attacker would be to encourage a PC user to visit dangerous websites. Microsoft plan to fix the problem with updates distributed in their normal way, i.e. monthly updates. If you want to find out more you can visit ITPRO here. Some PC’s will be more vulnerable than others depending on what version of Windows is used and whether Outlook, Outlook Express or Windows Mail are viewing an HTML document. Or you could visit Microsoft here and read Microsoft Security Advisory 2963983, Published: April 26, 2014.